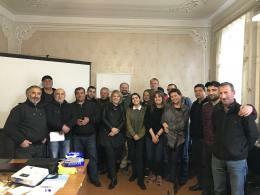 In April 2019, JTI development cooperation project "Supporting the economic development of Georgian rural areas" continued in Georgia with expert-seminars in project regions: Pankisi, Akhalakalaki and Khulo. Most active participants will visit Estonia in the summer for a study-tour, introducing best practices in Estonia. 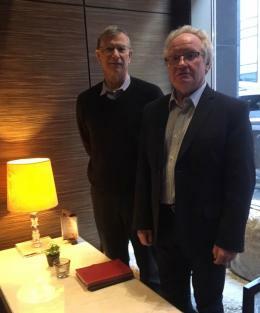 Head of Jaan Tõnisson Institute Civic EDucation Centre Sulev Valdmaa met on March 11 and 15 in Tallinn with professor Terrence C. Mason From Indiana University School of Education. JTI and Indiana University School of Education have long-lasting connections in developing of Civic Education in the Baltic States. Professon Mason visits in March 2019 Lithuania, Estonia and Latvia in connection of his research concerning progress and status of Civic Education in the Baltic States. During the meetings in Tallinn the issues of ongoing in JTI modernisation of Civics Subject was discussed. Mandatory course of Civics in the Estonian compulsory school curriculum is at large very similar to the first version of the subject developed soon after Estonia's gaining independence after the collapse of Soviet power. JTI Civic Education, relying on our long-lasting experiences in the field, deals in 2019 with the modernisation of Civics syllabus gathering from teachers, students and experts information and opinions concerning the content and teaching practices of the subject. The data will be analysed. 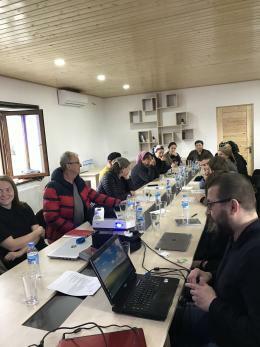 JTI and GFSIS are currently cooperating a fourth joint-project in Georgia "Supporting the economic development in Georgian rural areas". The objective of theongoing project is to decrease the socioeconomic disparities between Georgian regions and to increase their welfare. 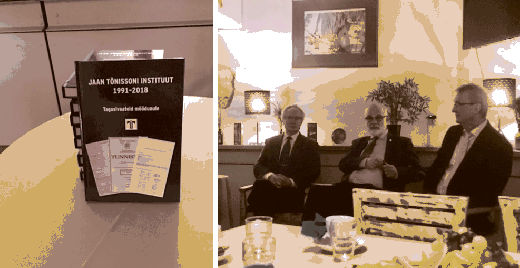 Jaan Tõnisson Institute celebrated Jaan Tõnisson's 150th birth anniversary in 2018 by issuing a book about the history of the Institute. The book presents an overview of the activities of one of the first-established Estonian non-governmental organisations that has been established in April 1991 during the turbulant period of restoration of Estonia's independence and operating since this time continously. The book resumes the history of JTI from the very first days up to summer 2018 providing on overview of the areas and concrete projects that the Institute has been dealing with for more than quarter of century period. The Centres where the work has been done are described and the people who have been working for JTI are listed. The quarter-of-thousand pages book contains photos, documents and tables with different data. Presentation of the book took place on December 7 2018 in Vana-Viru street in Tallin, in the same building where the Institute was "born".